For the past three years, Spencer Young and I have been painting the Packers Fence, located on Lombardi Ave. in Green Bay, across the street from the Lambeau Field Atrium. This year, we wanted to raise the bar and make it all about the defensive players. Spencer painted Mike Daniels as a Dragon Ball Z character and I painted Clay Matthews as the Marvel character Thor. 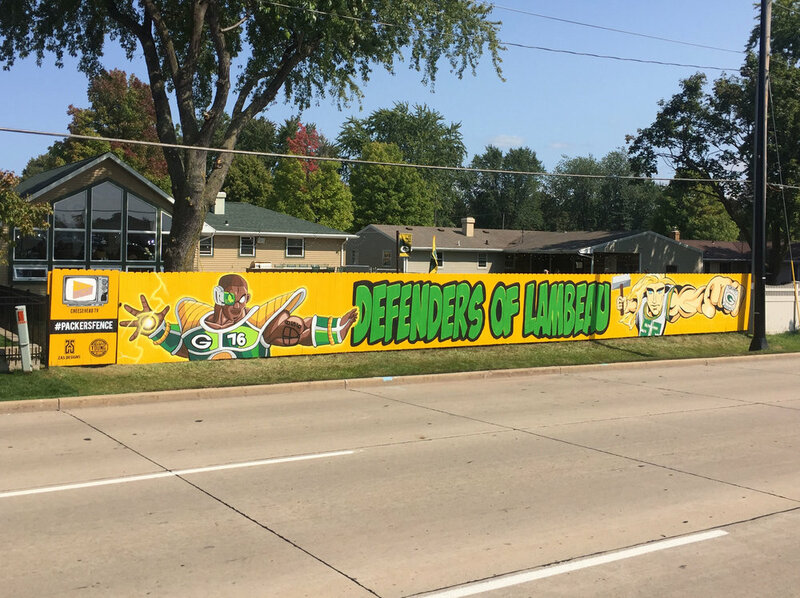 Together they give the fence a comic book style theme and come together "Defenders of Lambeau" like they do every home Packer game. Like past years, this fence was painted in one day-- roughly 15 hours--on the Saturday before the season's first Packer game. 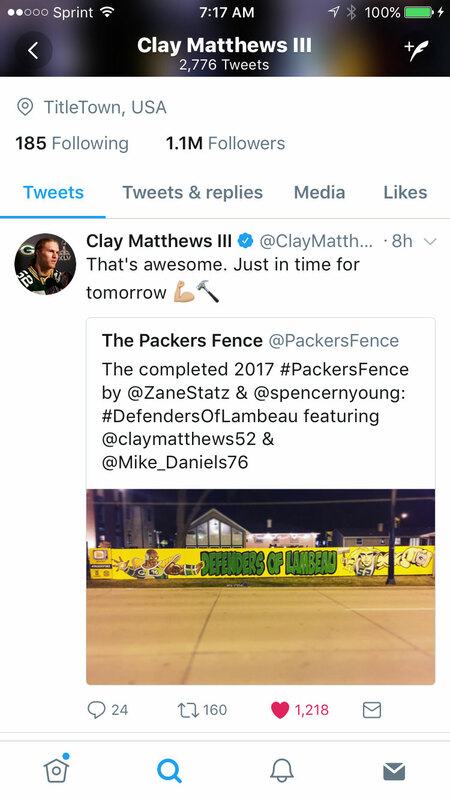 Lastly, to make it all worth it, shortly after we finished painting and posted the fence on social media we had none other than Clay Matthews giving his tweet of approval!